My suggestion is simple: An app to mirror FlightGear so it can be viewed in a vr headset like Google Cardboard. It'll probably lag too much, but maybe there's some way to overcome that (i.e compression of frames sent to phone? a protocol similar to vnc, but faster?). One thing I suggest is running a small instance of FG on the phone, but it does something like this? Keep in mind the split screen is already implemented: Menu->3D options->split screen. Vik has already implemented distortion to one camera (viewtopic.php?f=6&t=31058), and I'm quite sure the same idea can be used for Oculus/Google cardboard. The headtracking part can be implemented using ideas similar to any other headtracking device: http://wiki.flightgear.org/Head_tracking. Actually, I implemented headtracking with the Oculus in less than 15min years ago. 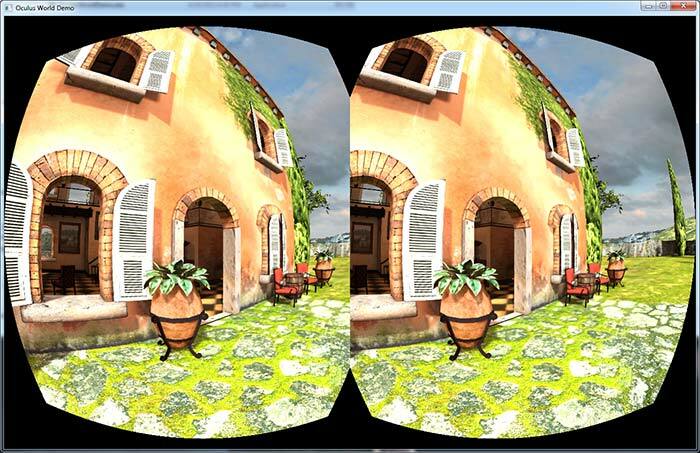 My implementation does not work with the current generation of VR devices, but the idea is the same. On a seperate yet somewhat related note, you could also use Playstation Move hand things + vr headset or just the HTC Vive to use the controls for the aircraft (throttle, yoke, mixture, anything that can be used with hands) and allocate some buttons on those hand controllers to rudder pedals. I'd do this myself, but I can't do that level of code, and I don't have any of the things I just mentioned. nulln wrote in Thu May 04, 2017 2:06 pm: On a seperate yet somewhat related note, you could also use Playstation Move hand things + vr headset or just the HTC Vive to use the controls for the aircraft (throttle, yoke, mixture, anything that can be used with hands) and allocate some buttons on those hand controllers to rudder pedals. I'd do this myself, but I can't do that level of code, and I don't have any of the things I just mentioned. That sounds like a good idea. I think it's a bit too much for me, has anyone else tried coding something like this? The idea of the century. I am in no way associated with the Trinus VR. I"m stricktly a user. Last edited by pb321 on Mon Jan 15, 2018 5:49 pm, edited 1 time in total. I acquired access to the latest VIBE. Getting FG working on it is on my agenda just as soon as I finish climbing Mt. Everest.